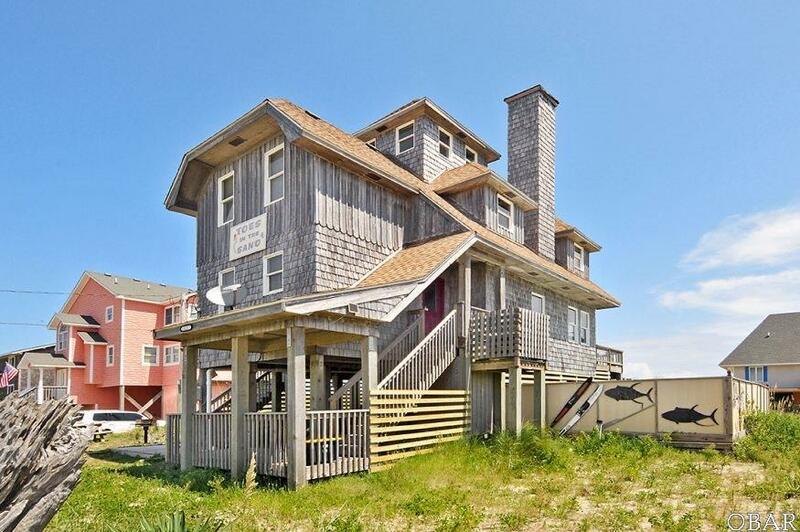 One-of-a-kind oceanfront home in Rodanthe! 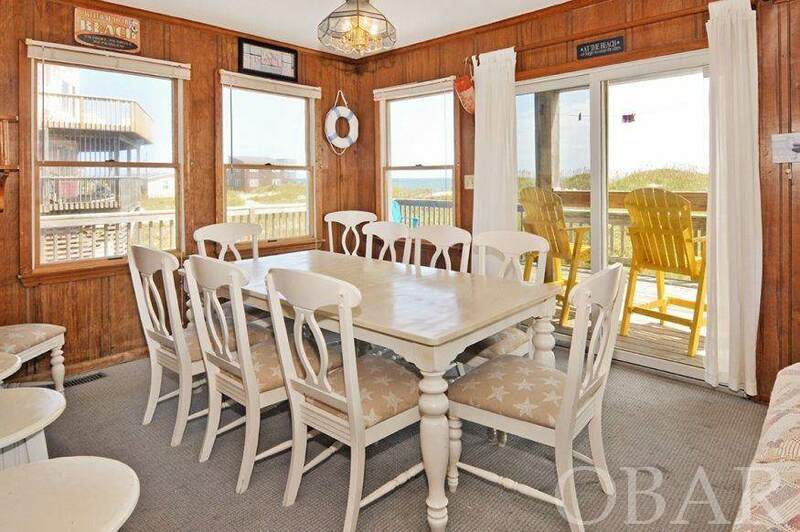 With three levels of ocean views, a private pool and easy beach access, "Toes in the Sand" is perfect for a year-round getaway, second home or rental opportunity. 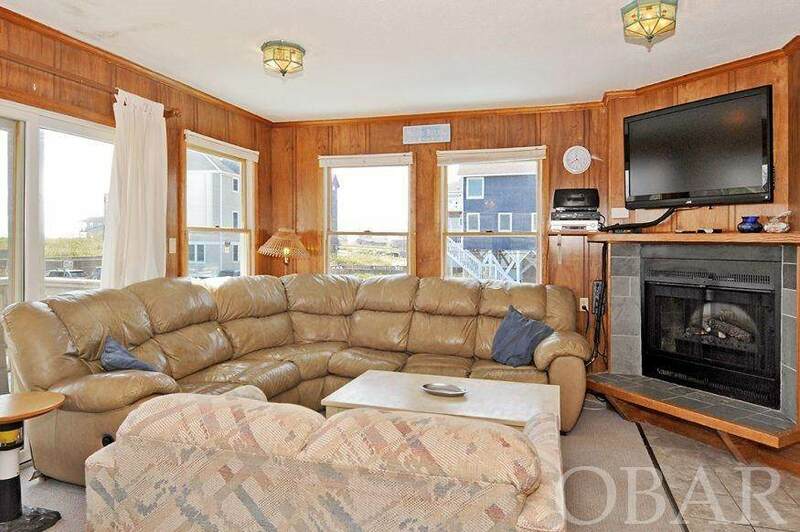 Living, dining and kitchen areas all have ocean views just steps away from a large sundeck with hot tub, while a decorative fireplace provides the perfect focal point. Just down the hall is a double bunk bedroom, a full bath and laundry closet. 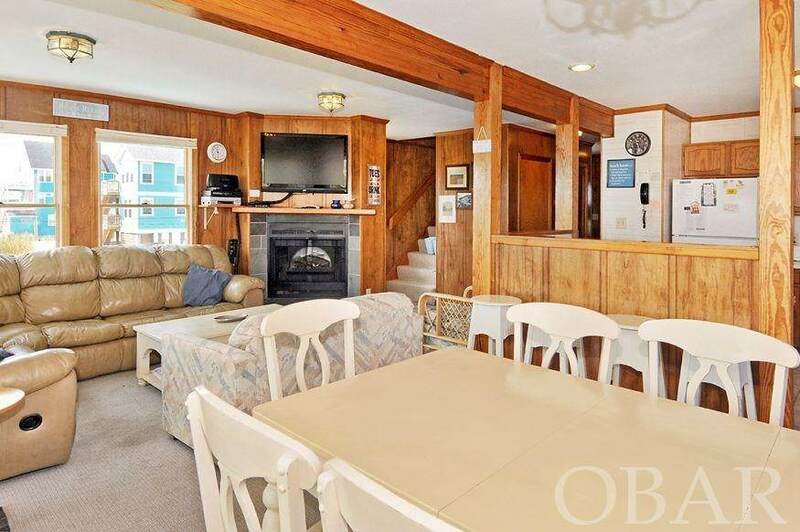 On the second level are three bathrooms - two queen bedrooms share a full bath while the oceanfront master opens onto a beautiful shaded oceanview deck. A spiral staircase leads to the loft where you can enjoy a game of foosball, a quiet game of cards or just take in the panoramic views from ocean to sound! From your private pool with spacious deck it is an easy stroll over the dune to enjoy surfing, swimming or fishing in the waves just moments from your door. With shopping, dining and great family activities conveniently located nearby this is an incredible location. Come visit your new island home and find your "Toes in the Sand"!